Details: FREE SHIPPING FREE SHIPPING for orders over $50! Details: $5 OFF $50 order! Details: Get Free Templates, Software, Tips and More with email sign up. 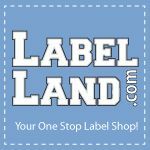 Details: Free UPS Shipping on Printed ORders over $250 through 4/27/12. Details: 15% off any order $32.00 or more.